The Goboist: COMPOSITIONAL CROPPING BEFORE OR AFTER CREATING THE IMAGE? COMPOSITIONAL CROPPING BEFORE OR AFTER CREATING THE IMAGE? I believe that composition is probably the most important artistic decision in fine art photography; after only lighting. Proper exposure, focus, and depth-of-field are givens in professional photography. The composition we create is how we direct the viewer’s eye within the frame. What we include and, very importantly, what we exclude powerfully shapes the viewer’s perception of the scene. Dynamic composition of static subjects is particularly important to maintain the viewer’s interest. Nothing reinforces the static nature of a solitary subject, and at the same time bores the viewer, more than centering it within the frame—a pervasive habit of amateur photographers. 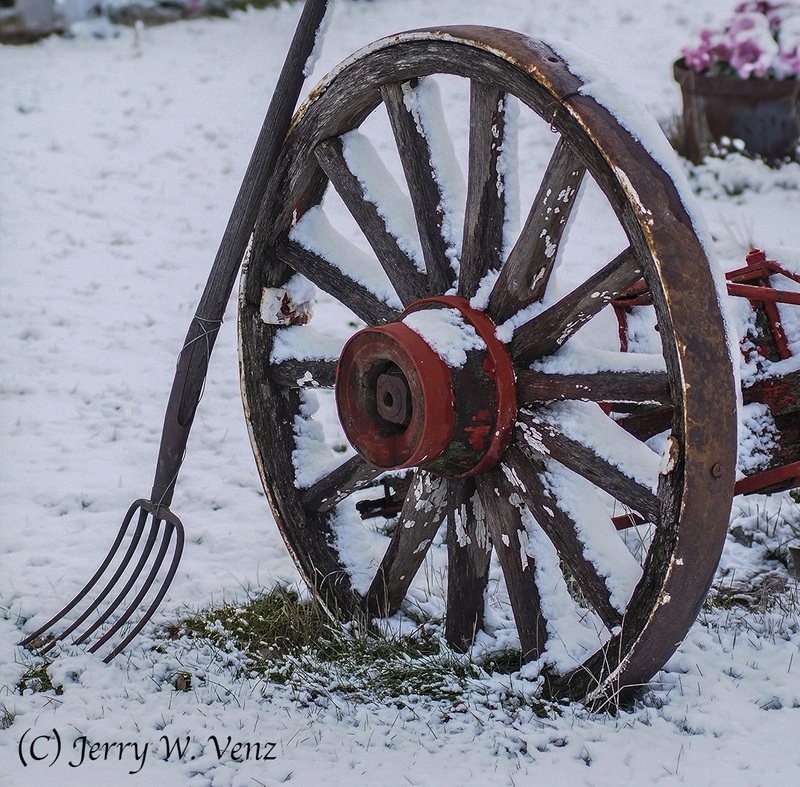 So, let’s look at some old wagon wheels…. 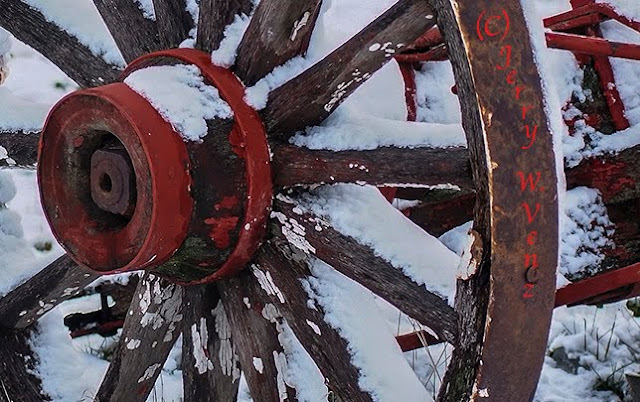 Here I framed-up the composition (cropping at the point of capture) placing the hub of the wagon wheel—using the “Rule of Thirds”—in one of the corners of the frame. I’m still showing most of the wheel, but this composition works well because the snow covered grasses on the right side of the frame are not just negative space—they are the secondary centers of interest. This is the ideal method of compositional cropping; framing-up and cropping at the point of capture. The other method is cropping your existing image after capture—in post production. Yes, you can create many great compositions in “post” very easily, but there will be a price to pay in quality. 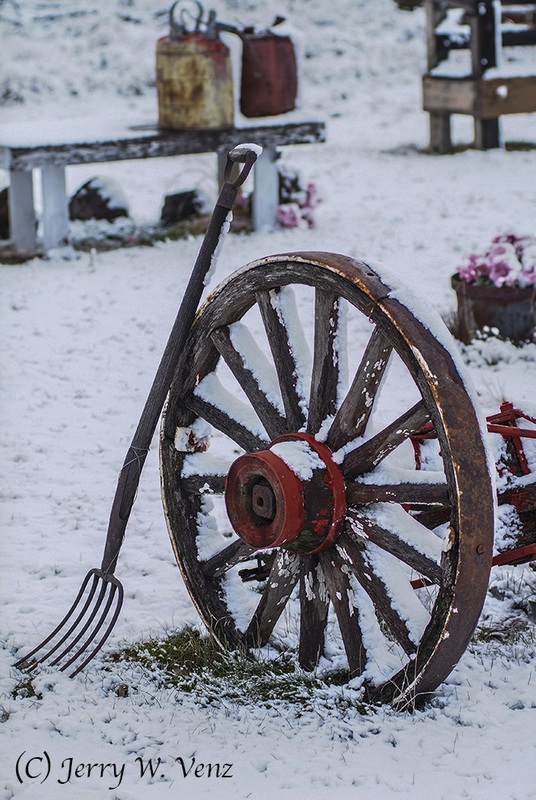 Here’s our next wagon wheel scene…. This crop is a real improvement over the original image. Now there’s only one spot of color (a floral box) in the background that, I think, helps the image. Then I did a more serious crop…. 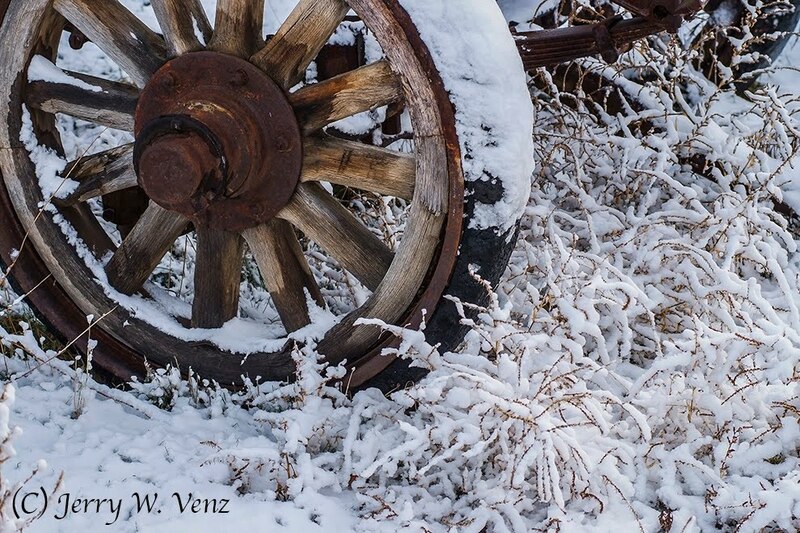 With this tight crop, offsetting the hub to the left, we now have a dramatic composition highlighting the essence of the wagon wheel by showing its marvelous details. But what is the digital price for these compositional improvements? That 2nd crop sure looks great, but what can I do with it? Basically make a wallet or just show it on the computer screen. This is why I teach my students to not just do a “master shot” of a scene and move on! I tell them to carve-up their subjects—use that zoom lens—into many smaller bites—creating different compositions all at your camera’s maximum file size…and “Shoot” in RAW! So, unless you have an 80 MP, DSLR, avoid the temptation of tight crops in post production!